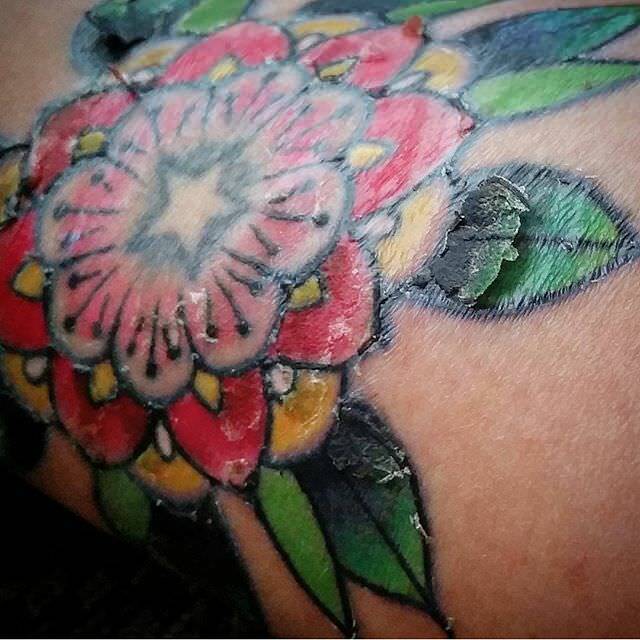 For many tattoo newbies, watching their new tattoo peeling and flaking away from their skin can be an alarming sight. Not to worry though! Your peeling tattoo is almost certainly nothing to worry about. 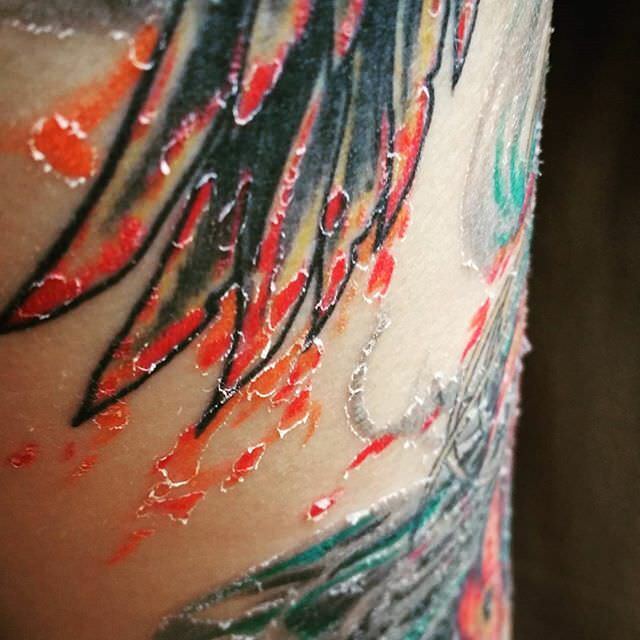 Very rarely are things as bad as what they seem when it comes to tattoo peeling. What you're going through with your flaky ink is most likely just a completely normal and natural process that comes with getting a new tattoo. Continue reading below to discover everything there is to know about tattoo peeling, why it happens, and what not to do if your tattoo begins to peel. Why ﻿Is My ﻿Tattoo Peeling? Is A Peeling Tattoo Normal? How Long Does A Tattoo Peel For? Why Is My Tattoo Peeling? While you're getting inked, the tattooing needles will be penetrating your skin thousands of times a minute, and over the course a tattooing session, a potentially large area of your skin will become a big open wound. For some time after getting your tattoo, it will be susceptible to infection, and your skin's natural response to this is to form scabs over the wounded area. When it comes to tattoo scabbing, everybody is different depending on how their skin reacts to a tattoo - as well as how rough/(in)experienced their tattoo artist was. Now, when this scabbing forms, it will essentially cover your skin in a protective layer or hardened skin that will eventually need to peel and flake away to expose the new, healthy layer of skin below it. This peeling is your skin's natural shedding process. Peeling tattoos are completely normal during the tattoo healing process. Every single tattoo that is inked into an area of skin will cause an open wound that your body will need to protect until it heals. You should be aware that the way your skin peels will always be different depending on tattoo size, where that tattoo is, how well you've looked after your tattoo and how heavily the tattoo has scabbed. Bigger tattoos are always going to peel and flake more due to the larger area of skin that has been distressed by the needles. Some areas of skin are more resistant to peeling, and will peel away at slower speeds that other areas. For example, areas of skin that are constantly exposed to the elements and are moved/used more often will take longer to peel because the skin is naturally tougher and will shed less frequently. Sometimes, if you haven't moisturized your tattoo as much as you should have during the aftercare phase, your skin may dry out and flake away quicker. 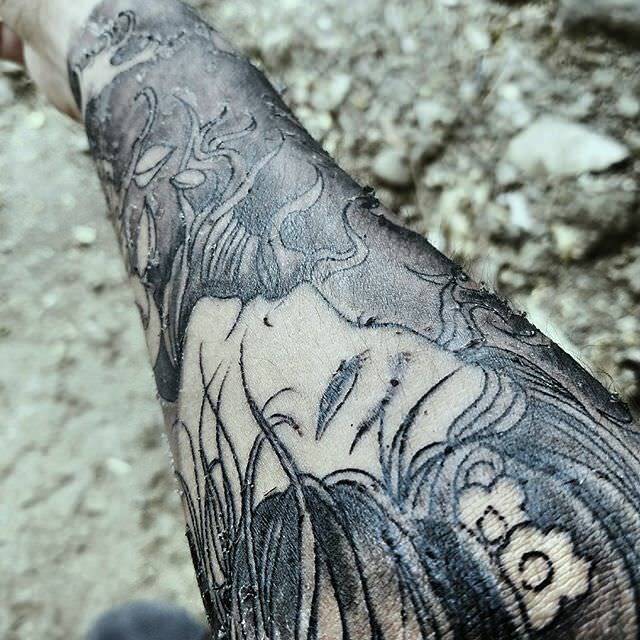 Finally, if your tattooed skin contains quite a lot of heavy scabbing, the peeling will naturally be more heavy, with larger flakes of skin coming away at once. This is opposed to if the tattooed area contains only light scabbing - if this is the case then the peeling skin will probably be quite light. New tattoos will generally peel towards the end of the first week of healing, normally between days 5 and 7. Again, this will be slightly different for everyone, but you should be seeing at least the start of the peeling phase beginning by the end of the week. Don't be worried if your tattoo hasn't started peeling by this point. As mentioned, all tattoos heal and peel differently, so yours may just be taking slightly longer. On smaller tattoos, the peeling can be extremely light, and the area may have already begun peeling without you even knowing! This is much more likely if you've been keeping the area well-moisturized. This is because the often dried, flaky characteristics of peeling skin will look much less noticeable. All tattoos will peel for varying lengths of time depending on individual circumstances. However, most tattoos will continue to peel for roughly a week. Tattoos on more overused areas of skin (like the wrists and elbows) will likely take a little longer to completely peel, but tattoos on more soft and supple areas could be done peeling after just a few days. Sometimes, tattoos will actually peel twice. Normally when this happens, there will be one relatively heavy peeling phase, followed by some very light peeling that will likely look like little barely-noticeable specs of skin coming away from the area. This is also normal and nothing to worry about - just keep your skin well moisturized. During the tattoo healing process, your tattoo aftercare routine is very important to ensure your tattoo peels and heals as well as possible. Below are some do's & don'ts for when your tattoo enters the peeling stage. This is absolutely the worst thing that you can do during the tattoo peeling stage. While the peeling skin may look like it's ready to come off, it will likely still be slightly attached to your 'live' skin until the moment it drops of naturally. If you pick or pull at the skin before it's completely ready, you're taking the risk of pulling unsettled ink out along with the peeling skin, causing areas of patchiness within your tattoo. It might be tempting to give the peeling skin a little helping hand, but it's best to just play it safe and let everything happen naturally. Again, all this does is cause skin to be ripped off prematurely - potentially leading to patchy areas where ink has been pulled out. Not only this, but your skin is still very prone to infection while it's peeling, and your fingernails will be harboring thousands of germs, even if they look clean. Scratching your new tattoo could turn out to be disastrous if the inked area contracts an infection. Not only will moisturizing your new tattoo help to soothe any itching that you're suffering from, but it will also potentially help your tattoo heal faster thanks to the many useful vitamins and minerals that the majority of moisturizing lotions and ointments contain. Not only this, but using a good moisturizing lotion on your tattoo can help it to look better while it's scabbing and peeling. The dried, flaky pieces of skin will soak up moisture and start to look more like the surrounding areas of healthy skin. Whilst stopping any scabs from drying out and cracking too much, the extra moisture will also help stick the flaky pieces of skin flush against the body so that no unsightly chunks of dead, dried skin are poking out. In-turn this helps to prevent them from getting accidentally ripped off by getting brushed against various objects. Keeping your tattoo clean while it's healing and peeling will prevent potential infections and will also help to speed up healing by ridding the area of dirt and oil which may be blocking pores and slowing down the repairing process. Check here for my favorite tattoo soaps. There's no other way to say it - your tattoo is going to look horrid for a week or two. It's going to look dull and dry with chunks of skin hanging off. Unfortunately, this is just a part of the process and there is nothing you can do until the peeling process has finished and the skin has completely healed up. Just continue to keep your tattoo clean and moisturized so it has the best chance at healing as quickly as possible. Many tattoo newcomers rightly become quite concerned about their tattoo when it begins to peel. Below are a couple of their common thoughts when they see their tattoo starting to flake - and I've attempted to provide some reassuring answers. My Tattoo Is Peeling Off & Looks Like It's Flaking Away! 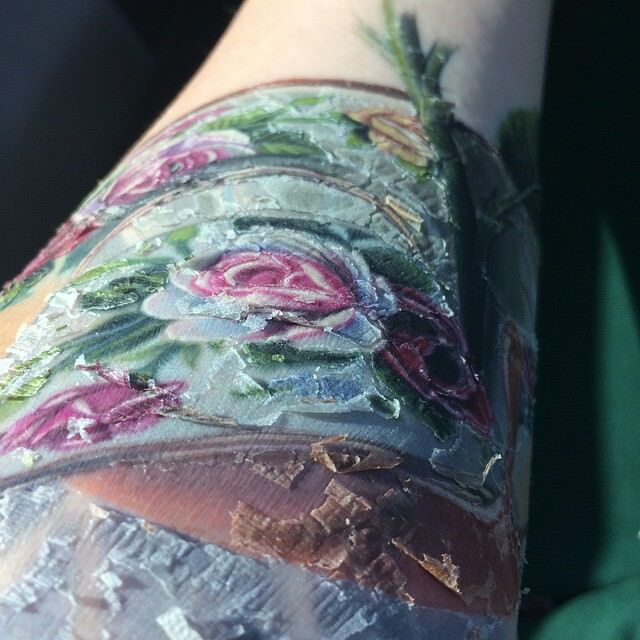 When your tattoo peels, it will often look like the tattoo is peeling off completely. 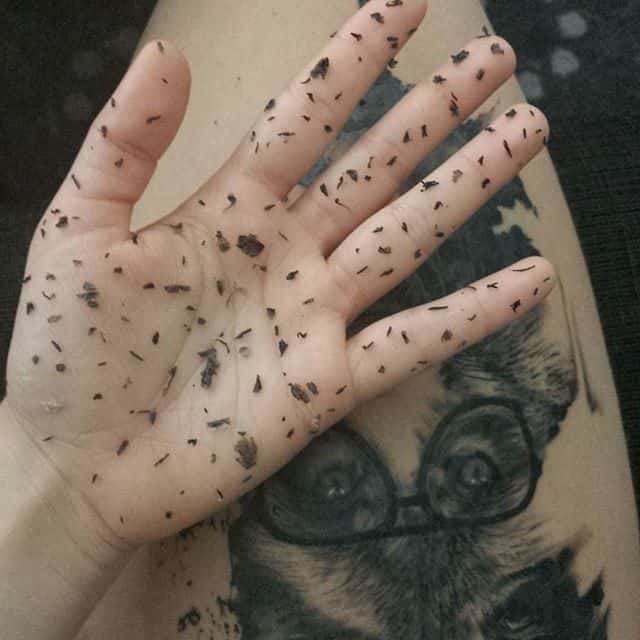 This is due to the dead flakes of skin containing small amounts of ink. This is not the case and is completely normal. What is happening is that when your artist was tattooing you, he was trying to pack as much ink into your skin as possible to ensure that the color/contrast remains​ vibrant, and to ensure that no areas of patchiness develop due to lack of ink within your skin. When the deeper layers of skin are full of ink and are unable to contain any more, the excess ink will begin to get pushed to the upper layers. This is what you are seeing. Sometimes the peeling skin can look completely colored and you may wonder if too much ink is being pushed out - but this is rarely the case and very bright, colored pieces of peeling skin are common. When your tattoo is peeling, as you wash it you may start to see the peeling skin come away colored in ink. This is completely normal and your tattoo isn’t getting washed out. All tattoos will peel away along with excess ink at this stage, and personally every single one of my tattoos have done this, and every single one was turned out absolutely perfectly. Follow correct aftercare procedures and you should have no problems. My Peeling Tattoo Looks Like It's Losing Color! Sometimes once your tattoo has finished peeling, your tattoo can look quite dull and cloudy. This again is completely normal. Although the top layers of dead skin have flaked away, the tattooed area will still not be completely healed, and therefore your skin can continue to look quite dull and cloudy for up to a few weeks after the peeling has finished. You must also be aware that your tattoo will likely never look as bright and as vibrant as it did the moment you left the tattooing studio. 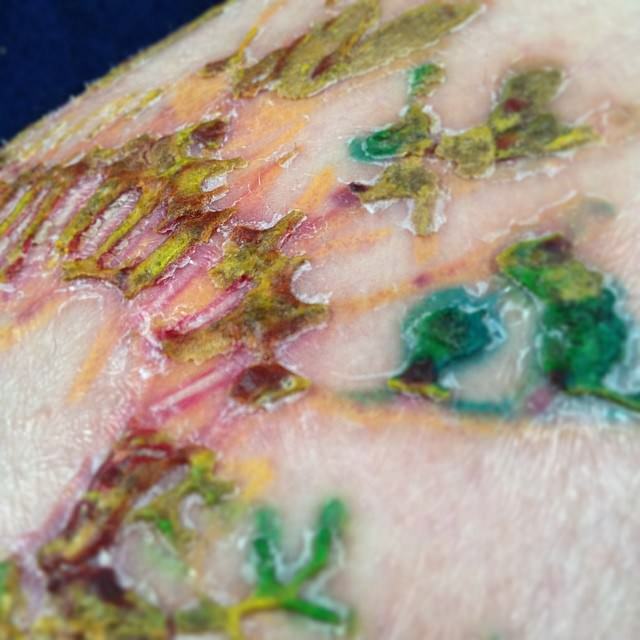 After healing, a translucent layer of skin will have grown over your tattoo as a form of protection - so while your ink will still hopefully look great, this extra layer of skin will usually cause it to look slightly duller than it did when it was completely fresh before the healing process began. However, if you're generally worried​ about how your tattoo is healing, it's always advisable to contact your artist so they can give you their opinion on the situation. Even with the greatest care during the healing stages, tattoos can still sometimes heal poorly, causing areas of color-loss and patchiness. If this is the case for you, then I advise you to go back to your artist to show them the problem. 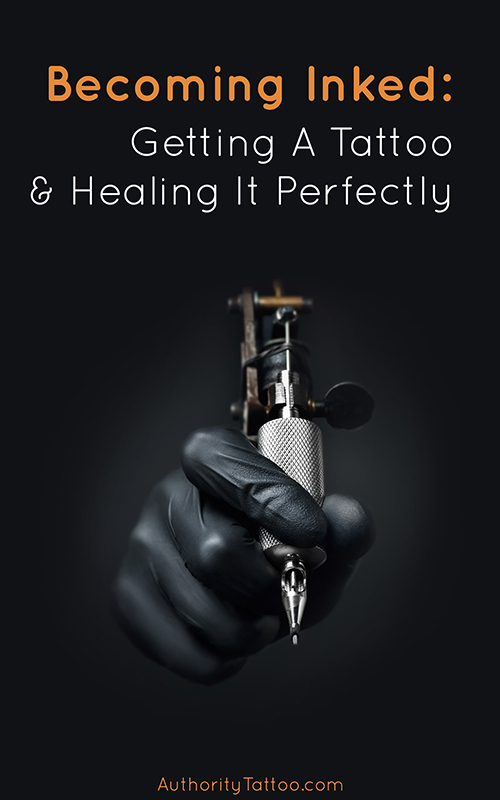 The vast majority of artists acknowledge that sometimes tattoos don't heal 100% effectively, and will generally offer a free touchup to fix any faded or patchy areas. Hopefully you now understand that tattoo peeling is just a completely natural and normal process that happens to every new tattoo during the healing process. Yes, the peeling may look ugly and unsightly for several days, but you just need to fight through it. 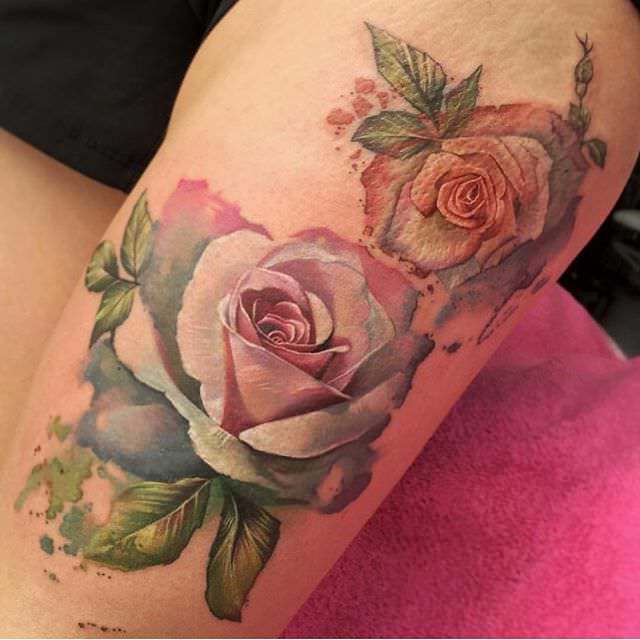 There's unfortunately nothing you can do to stop tattoo peeling and flaking - but by applying good tattoo aftercare ​principles, you can minimize the time it takes for your tattoo to complete its shedding process so that it can thrive as a wonderful piece of art for many years afterwards.